(update) now with 8 additional episodes, better sound quality, and extras: this old time radio series follows famed actor Ronald Coleman as the president of a small Midwest college. This literate comedy was the story of a small Midwestern college, and the President of same and his wife, and their colleagues. Sounds dull, but it wasn't. 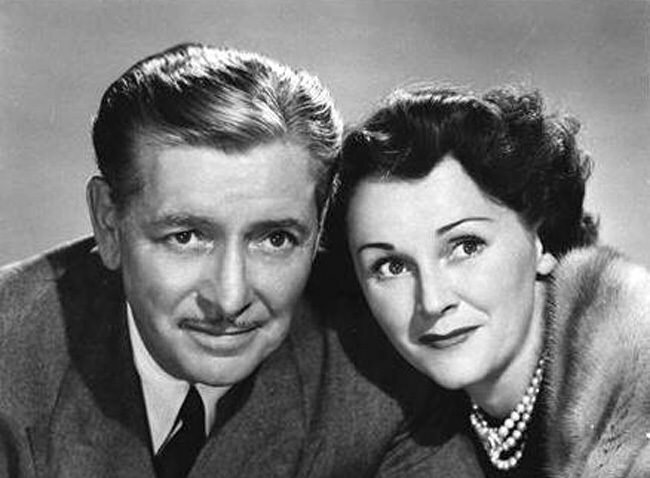 Especially as the man who developed the show was the chief writer for Fibber McGee and Molly. Don Quinn had been the right hand man to the Jordan's for many years, but wanted to do a show of his own, and so hit upon the theme of a college. One could imagine that Our Miss Brooks might have been in the back of his mind, too. While originally thinking about using Gale Gordon for Hall, and Edna Best as his wife, Quinn hit upon a couple that had been charming and very funny as the British neighbors of Jack Benny of late. It turned out to be a great idea. Famed actor Ronald Colman (1947 Academy Award winner for his portrayal of a tormented actor in "A Double Life") was perfect for the part of William Todhunter Hall, the President of Ivy College in the little college town of Ivy. 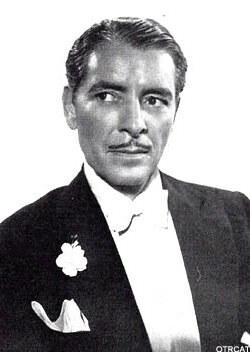 Ronald Colman had the authentic intelligent, English upper-crust manner to convince immediately. Coleman's wife, Benita (Colman) Hume played Hall's wife Vicky, whose background was as a former British stage actress. Thus, the pair was a great example of "opposites attract." A fine radio cast played the Ivy College's Board of Governors, the kids on campus, and the household of the Halls. Herbert Butterfield was the thorny Board of Directors member Clarence Wellman. Creator/writer Quinn's love of puns that made so much of the Fibber dialogue magic was certainly an integral part of The Halls of Ivy. The title tells us that. There are episodes when there are problems, too, and the show actually gets serious…or at least, the listener feels that these are real people with real concerns.That was also what Quinn was striving for - a show that was mostly funny, but with some real human interest and warmth along with the laughs. 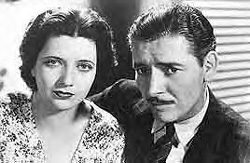 Kay Francis and Ronald ColemanThe great radio writing team Jerome Lawrence and Robert Lee did most of the scripts, with Quinn's input and punning cunning. They worked with Coleman on another popular old time radio show, "Favorite Story." Lawrence and Lee went on to Broadway to "Inherit the Wind" and "Auntie Mame's" fortune and fame. The Halls of Ivy went on to television in 1954, with Colman and wife Benita continuing in their parts, along with Herb Butterfield. The Halls of Ivy is a fine example of a good idea well done, and deserves an advanced degree of listening from devotees of old radio comedy. Other sit-coms from radio are Meet Mr McNutley, Vic and Sade, Easy Aces, Our Miss Brooks, Fibber McGee and Molly, My Favorite Husband, The Adventures of Maisie, The Life of Riley, Life With Luigi, and The Adventures of Ozzie and Harriet. Be the first to comment on "Halls of Ivy"